The Ornsby Motorcycle Training team are all fully qualified, professional instructors with 100 years combined riding experience. On average, we each clock about 40,000km per year coaching other riders. 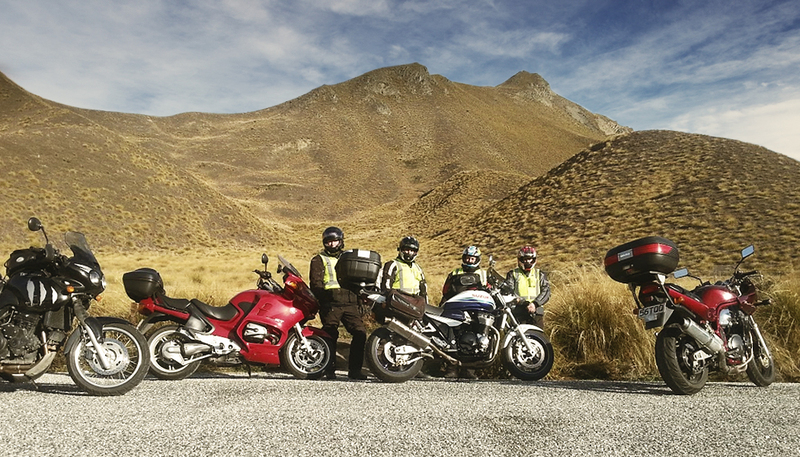 That makes us one of New Zealand’s most experienced motorcycle training teams—trust us, you’re in good hands. 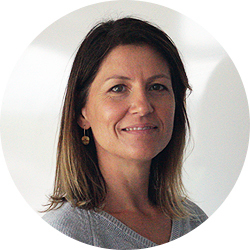 You can meet the team below. My first riding experience was at 10 years of age aboard a 1970’s 50cc trail bike at the family property in Oxford. From that day I was hooked! I have fond childhood memories of Dads 1979 Triumph Bonneville—with myself, my brother and the dog in the sidecar—and Dad and his partner aboard the bike. The day after my 15th Birthday I passed my motorcycle learner license. Freedom! My first road bike was a Honda XR 200cc which I used to commute to work through the week, battered around off road most evenings and weekends and took on various roadies. My current road bike is a 2008 Suzuki GSX 1400. Following in my father’s footsteps I have been racing competitively for the past 15 years in different disciplines, from dirt track Speedway to road racing. My father strongly impressed on me at an early age, the dangers associated with riding a motorcycle on a public road—what I call the “Treat Everyone As An Idiot” philosophy. However, as a riding instructor, one of the things I hear the most often is, ‘I got knocked off my bike, but it wasn’t my fault’. In my opinion, when it comes to motorcycle road safety, it doesn’t matter who is at fault when you are lying on the ground, in a hospital bed, or worse! Many of the motorcycle accidents happening on our roads could be avoided if individual riders took more ownership for their own safety. Having the right attitude and right skills greatly reduces your chances of becoming a statistic. This starts with complete beginners being taught the correct skills and good riding habits, all the way through to fine tuning the skills of seasoned riders. Recently I decided to move into working for Ornsby Training part time and have moved into a role with the Selwyn District Council as their Road Safety Co-ordinator. I am passionate about road safety and with the two roles I really feel that I am doing everything I can help improve safety on our Canterbury roads. I got my motorcycle licence at the age of 15, longer ago than I care to remember… and it’s been a passion since then. 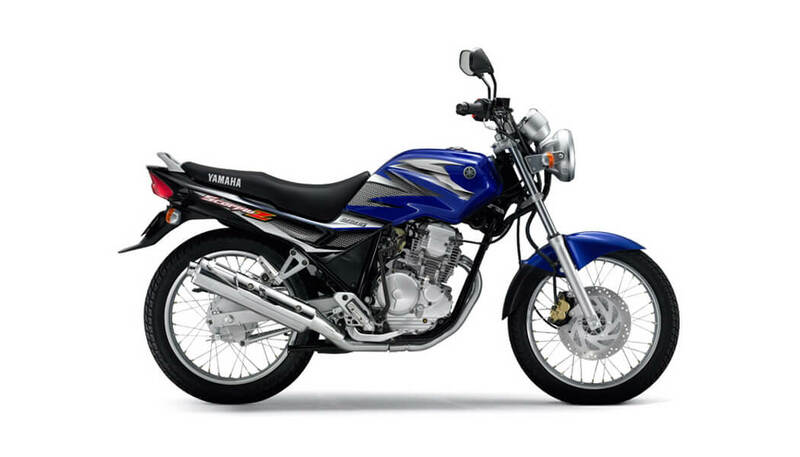 My first ride was a Honda CB250N, followed by a Kawasaki GPz550H3. At age 22 having served a few years in the Navy, I decided to look for a job where I would get paid to ride a bike, so I joined what was then the traffic department. I had no idea that it would be 27 years before I moved on. In 2005, I initiated the project to get motorcycles reintroduced into the Christchurch Police. I’ve owned a series of Beemers to match the bikes I was riding at work, today I’m on a R1200RT. In 2015 I resigned as the Police Motorcycle Sergeant to join Ornsby Motorcycle Training. I have come to realise that enforcement can only go so far in improving road safety—rider education plays a massive role. So its great for me to be still be working within the motorcycle world—and helping people improve their skills. My experience has taught me that there are many causes of “bins” for riders, many of which the rider can control. Sure, some are unavoidable, but there is a lot we can do to improve our own riding safety. 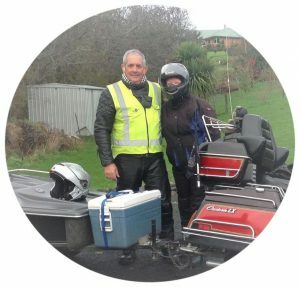 Having worked as a Road Policing Trainer (both in Canterbury and at the Royal NZ Police College) and as a Police patrol motorcyclist I have a wealth of experience and knowledge to pass on to others so they can enjoy their riding and be safer on our roads. I have been riding bikes for forty five years. Motorcycling has always been a passion of mine and like many riders I started small (50cc!) and have since owned many bikes. One of the personal highlights for me on a bike, was tour through Bolivia that I did with a couple of mates. We hired DR650s and travelled about 5000km over mainly gravel roads, going from sea level to 15000 feet and finishing the trip by completing ‘Death Road’. My experience has been mostly road riding but I’ve also branched out to racing and adventure bike riding. My racing has helped me become a more precise, smooth and fluid rider. My road riding, more than anything else has taught me the importance of having exceptional observation skills, and, my adventure riding has taught me skills to deal with loose surfaces, undulating terrain and unexpected obstacles. Back when I began riding, there was no such thing as courses teaching riding skills and good rider habits. So I am very excited to be part of Ornsby Motorcycle Training team sharing my passion and helping other riders up-skill and ride smarter. Clive lives close to Ashburton with his wife and three children. 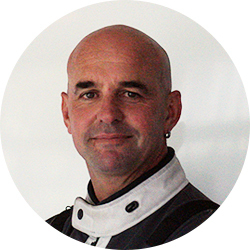 He has been riding motorcycles since the age of 15, was a keen Club Racer in the UK before moving to NZ in 1996 where he now runs a motorcycle rental company, CircleNZ. He’s very keen on long distance riding as well as getting off the seal into the back country. 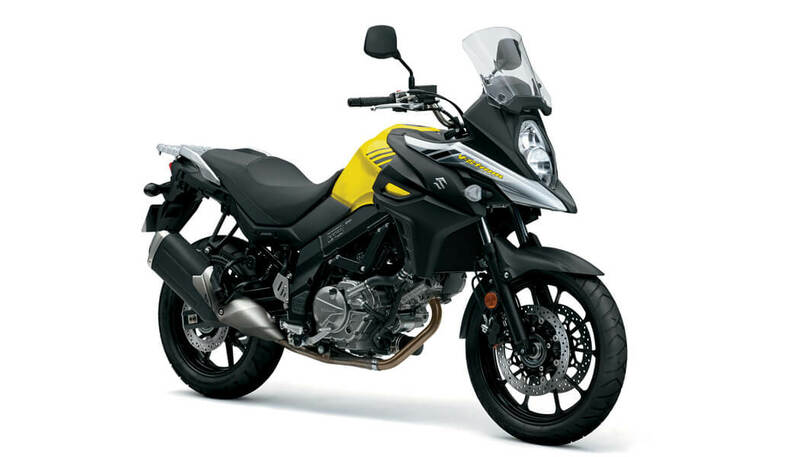 Current favorite ride is a Suzuki V-Strom 650. 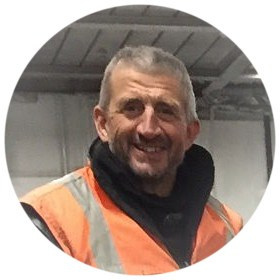 Steve is a great guy with a wealth of knowledge and experience. 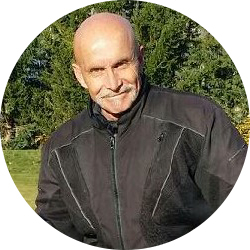 He is a passionate rider who is just as passionate about helping others. When I first met Dan he had just started his business and was running it with a paper diary… It’s fair to say we’ve come a long way since then! For a start… we have children now! I grew up around motorbikes – my father has always ridden. Apparently he once told Dan that I was the worst pillion rider he had ever taken on his bike. Thanks Dad! I had a high school mate Seontelle who taught me to ride in that sort-of-kind-of-way (we were 17). But as I found out when I meet Dan, there is riding… and there is RIDING. I finally got my licence a few years back, so I can really relate to the challenges people face when they are no-longer fearless teenagers… and want to learn to ride or improve their riding ability. One thing Dan has always said to me is to trust in the bike and my ability and riding will be much easier. It’s so true! I love being involved in our business because I share Dan’s and the rest of the teams’ passion for helping riders get more from their riding and encourage them to stay safe. Our slogan is ‘open the road ahead’ which really does truly encapsulate what we are about! If anyone wants to chat or ask a question or five about what we do-give me a call, that’s what I’m here for! I really enjoy helping.